TACLOBAN CITY- About 200 people representing from different progressive groups from this city joined on Monday (December 10) in the observance of the International Human Rights Day as they decried what they call the militarization under the administration of President Rodrigo Duterte. 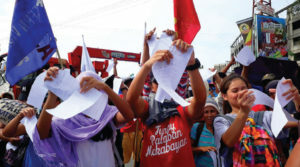 The protesters burned a copy of Memorandum Order(MO) 32 issued by Malacañang on November 22 which was used as the legal basis for the deployment of additional soldiers and policemen to Samar and three other areas in the country. The order states that these areas are affected with ‘lawless violence’ committed by members of armed groups. 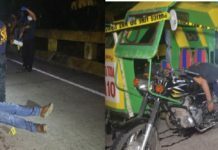 Joshua Sagdullas, spokesperson of Bayan Muna-Sinirangan Bisayas, said that while they do not contest on the existence of lawless violence in Samar, in particular, these were committed by state enforcers. “We agree that there is a state of lawlessness (violence) in Eastern Visayas, especially in Samar. But on our end, we know that the military and the police are the main perpetrators of this,” he said. Based on their monitoring, about 62 human rights abuses have been committed in the region involving state enforcers committed under the Duterte administration. The Armed Forces in the region has consistently denies that they have committed any human rights abuses maintaining that they respect the rights of the civilians. Meantime, Captain Francis Agno, spokesperson of the 8th Infantry Division based in Catbalogan City, Samar, dismissed claims that the controversial order issued by Malacañang is already a de facto declaration of martial law. ‘The writ of privilege was not suspended under the MO 32? So why they claim that it’s a declaration of martial law?” he said. Agno said that under section 4 of said order, it was stated that the constitutional rights of every individual shall be respected and given due regards both by the Armed Forces and the Philippine National Police. 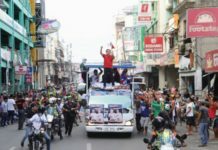 The National Democratic Front of the Philippines in the region has compared the issuance of MO 32 to a declaration of martial law as troops would be deployed in areas identified under the order which could result to rights abuses and crackdown of those who opposes the Duterte administration. “Duterte’s MO 32 shows his intention to impose nationwide martial law other than Mindanao alone. It’s a declaration of de facto martial law in Eastern Visayas and an intensified crackdown against all opposition – armed or not,” the group said.